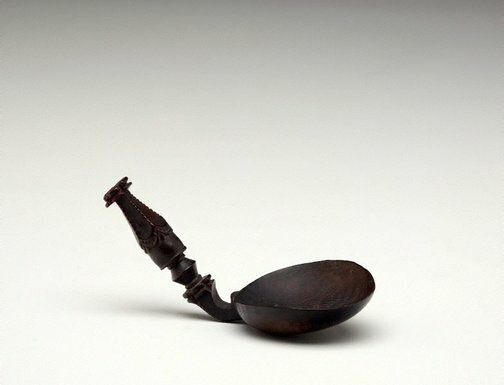 carve intricate spoons which were most likely used for large ceremonial feasts and offerings to ancestors. Christopher Wilson, pre Nov 1986-1996, Sydney/New South Wales/Australia, probably purchased in West Timor, Indonesia mid 1980s. Appears in 'Southeast Asian tribal art', an unpublished text by Christopher Wilson, College of Fine Arts, Sydney, November 1986. Southeast Asian Tribal Art , Nov 1986, Plate 35 (colour illus.)unpaginated. Ancestral art of the Indonesian archipelago , Sydney, 2017, 84 (colour illus. ).